12 Ways to be Active Right Now — Seattle Cascadia Now! 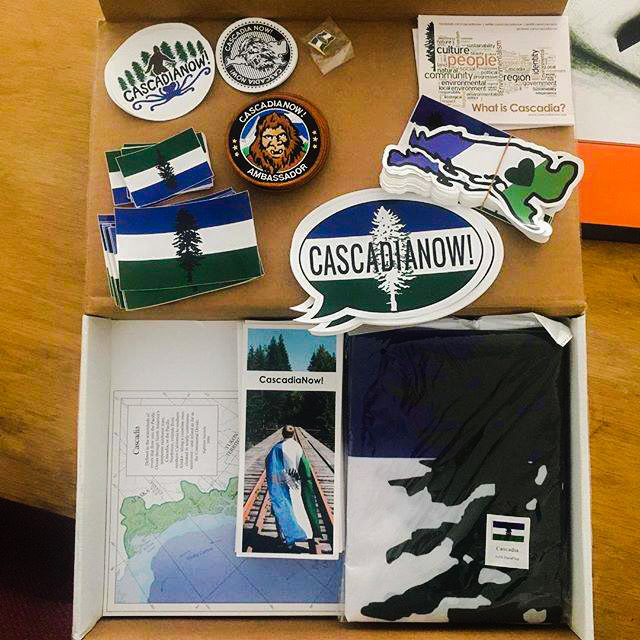 Become a member of Seattle CascadiaNow and support our projects. Or donate! Connect with local projects through Seattle CN! Make more sustainable choices in your daily life- no plastic, buy Cascadian. Show up for Racial, social, and environmental events in your area. Educate yourself! -Raise awareness of bioregionalism and educate about Cascadia. Email marty@cascadianow.org for more info. Any group or business can be a Cascadia partner. Fly the Doug flag at your home or business. If you have the space, host an event or fundraiser. We're always looking for new spaces to support which can host our events. Groups can focus on specific issues through meetings, activism or small project. We have numerous committees in the Seattle Chapter you can join in on. Outreach, Education, Arts, Social Media, and the Cascadia Podcast. 9. Get Sponsored - become a program/project of CN! Fiscal sponsorship from CN! extends our non-profit status to help a project achieve its goals. Whether you just want to partner up for a one-time event, need long term assistance, or want to work towards becoming your own non-profit, we offer a wide variety of resources. If your project or event strengthens the resiliency of the bioregion we would love hear how we could support you. Can't come to meetings or events because you don't live in Seattle? Start your own chapter! We'd love to share resources, templates, and ideas to support the creation and growth of a new chapter! We envision a strong bioregion of active chapters throughout Cascadia. Contact morgan@cascadianow.org for more info. Bring whatever skills and time you have to offer, our projects need support in many ways, from setting up a tabling booth to attending a benefit event. You're just the person we're looking for! Stop by any of our events, chapter meetings, or shoot us an email! Grow Cascadia through community engagement. Host a discussion on change through bioregionalism, dismantling white supremacy, the decolonization of the mind, an envisioning session of the future of Cascadia. Help fundraise for the Seattle Chapter and many of our awesome projects, or a great cause. Sea CN! can help advertise through social media outlets.